Have a seat in Bob Conway’s office and the first thing you’ll notice is his beautiful rustic hickory desk. Where did it come from? He built it himself, out of left over floor planks from when he was remodeling his Seal Rock home. Although he’s the owner of Coast Equipment in Waldport, Bob certainly isn’t above getting his hands dirty. He not only services the equipment he sells and rents, he’ll deliver it, too. Bob even hauls rock and says in true entrepreneurial fashion: “anything to make a buck”. For 32 years Bob lived in Alaska. The first 10 of those he spent in equipment sales. He then worked 22 years for Quality Asphalt Paving, managing asphalt plants and building remote roads and runways. The best part of being employed in Alaska was the months he had off in the winter. About four years ago, Bob purchased a home in Seal Rock and spent those winter months remodeling it. A few years later he “finally pulled the plug in Alaska” and decided to make the Oregon coast his permanent home. 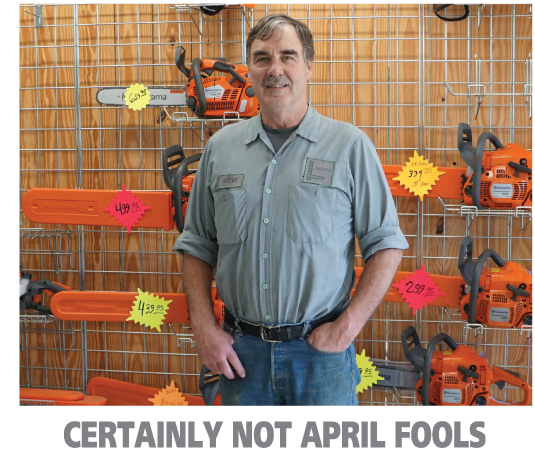 About 18 months ago, Bob opened Coast Equipment in a building on about an acre of property he had purchased in Waldport. The company buys, sells, rents and services tractors, bobcats, backhoes, dozers, excavators and other heavy equipment. Through an agreement with a Myrtle Point dealer, Coast Equipment is able to offer the entire product line of LS Tractor, a nameplate popular with farmers, landscapers, contractors and homeowners with acreage. “Leave it to me to pick the county with the least agriculture in the state,” laughs Bob. But business at Coast Equipment seems remarkably brisk. The company is a one man operation, but even if the office is closed, customers know they can reach Bob on his cell phone. “Supposedly, I’m semi-retired,” adds Bob. Which means there are some mornings that he chooses to fish or crab instead of minding the office. Bob first started banking with Oregon Coast Bank because he had heard that Linda Eriksen, the manager of our Waldport office, was “a good person to do business with”. Besides his business and personal accounts, he has an Oregon Coast Bank Line of Credit to fund equipment purchases. Although he enjoys visiting with the folks at the bank, he also appreciates the online banking and online statements he can access with his iPad. When he decided to “semi-retire”, Bob could have chosen most anywhere to live. Somehow a small town on the Oregon Coast seemed most appealing. He moved to Waldport for more than just the great fishing; he wanted to be part of the community. 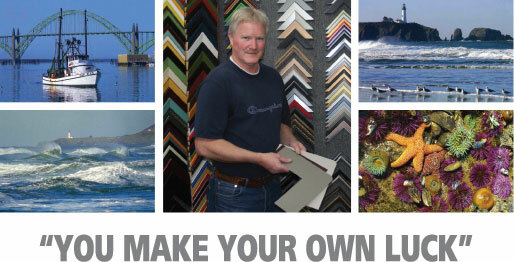 Bob bought a house, started a business and Waldport is an even nicer place because he chose to call it home.